This duplex is renter ready, make an investment today or; live in one side and rent the other. Property includes a one bedroom unit and a 2 bedroom unit. 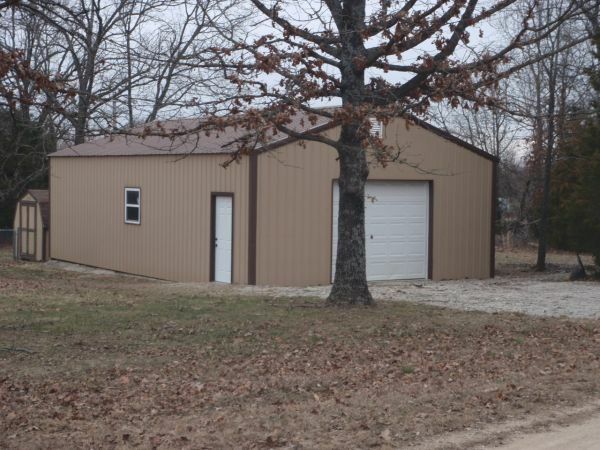 Located within minutes of the west gate of Fort Leonard Wood and Waynesville Schools. Call today to schedule a showing; we’re sure you won’t be disappointed! Six beautiful Missouri acres!!!! This three bedroom one and a half bath Ranch home is the little bit of country you’ve been looking for!!! Windows have been updated as well as some of the flooring, the bathrooms and the kitchen. The living room features a brick fireplace, the kitchen has updated counter tops, some built in appliances as well as a formal dining room! All of this and an unfinished basement too! Check the gem out today before someone else beats you to it! Take a look at this newly renovated 3 bedroom 2 bath home, on spacious corner lot! This home features a beautiful kitchen with trendy vinyl flooring, updated cabinets/countertops, and stainless appliances. Living room features new carpet & neutral paint schemes. Oversized utility room exits to the outside, making a great mudroom. Hall bath features double sink vanity, new flooring and paint. Looking to spend most of your time outside? The back deck is perfect for entertaining friends on those warm summer nights! The back yard is open, and flat with immense possibilities. Don’t wait; this could be yours! Looking for a mini farm close to post? Take a look at this one, on 3.18 acres completely fenced with water & electric at the fenced in animal pen, also a chicken coop with electric and water. A 3 bedroom, possible 4th bedroom home all on 1 one floor with so many updates. 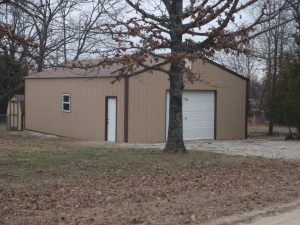 Beside the home sits a 24×40 metal building with concrete floor, 2 storage sheds. The home sits on a large flat yard perfect for a pool, swingset and lots of kids, you better check it out before it’s gone!